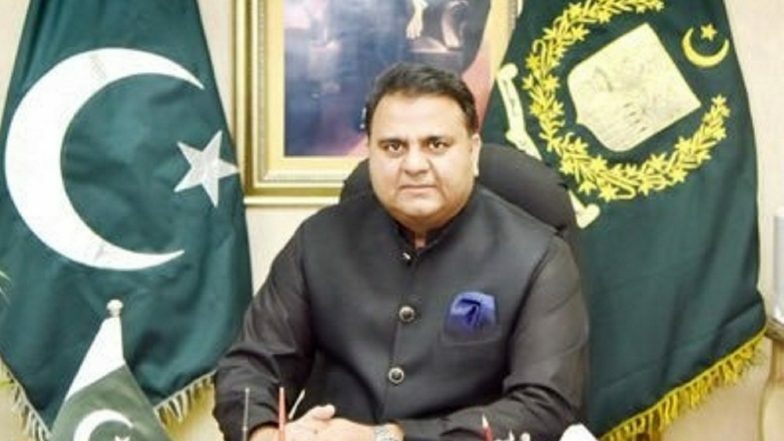 Islamabad, April 11: Information Minister Fawad Chaudhry on Thursday asked Britain to return to Islamabad the famous Koh-i-Noor diamond, which is claimed by India, Afghanistan, Pakistan and also Iran. The 105-carat diamond has been part of the British crown jewels for the past 150 years. Chaudhry also endorsed the demand that the British empire must apologise to Pakistan, India and Bangladesh for the Bengal famine and the Jallianwala Bagh massacre, in which British forces led by Brigadier General Reginald Dyer opened fire on thousands of unarmed and peaceful protesters, including women and children, killing scores of them on April 13, 1919. "Fully endorse the demand that the British empire must apologize to the nations of Pakistan, India and Bangladesh on Jallianwala massacre and Bengal famine. These tragedies are the scar on the face of Britain," the Minister tweeted. "... Also KohENoor must be returned to Lahore museum where it belongs." Jallianwala Bagh Massacre: UK Prime Minister Theresa May Expresses Regret, Jeremy Corbyn Demands Clear Apology. Chaudhry's remarks came a day after British Prime Minister Theresa May expressed regret over the worst bloodbath committed by the British Army during the colonial period, terming it as a "shameful scar" on the British Indian history. "We deeply regret what happened and the suffering caused," May told the British Parliament, as India prepares to mark the 100th anniversary of the killings.